If you’re a looking for first-time apartment tips, you may be feeling a little lost and somewhat overwhelmed. Take a deep breath and relax! Let us walk you through the apartment-hunting process and you’ll have the key to your new apartment faster than you thought possible. Before you look at any apartments, make a short checklist of what you’re looking for in a rental. Create a list of features in order from most important, such as location or minimum square footage, to least important, like a fireplace or extra washroom. Next, determine the maximum amount you can afford to spend on monthly rent with a first apartment budget. This should include all associated fees and utilities. If you need help figuring out your budget, check out our free Household Cash Flow Tracker. With your wish list and budget in hand, you’re ready to start looking. Check out rental listings on sites like Zillow or Rent.com, or ask friends if they know of vacancies in the neighborhood. Once you’ve compiled a list of prospects, contact each landlord or property manager and start hunting. Check for any additional fees attached to this rental. Ask about the following. Who’s responsible for general repairs and maintenance? What’s the procedure for submitting a request? What’s the estimated response time? Don’t just absorb the information shared here; pay close attention to the way the landlord answers. If there’s an uncomfortable amount of hesitation, take it as an indication that the handling of the building’s maintenance is somewhat questionable. The rental unit might be in your desired neighborhood, but its exact location will strongly affect your quality of life. Is the apartment near a popular café or bar? Is it close to a busy intersection or highway? Is there public transportation nearby? You’ll also want to take note of where the apartment is located inside the building. Is it near a highly populated area like the elevator? Is it close to an unpleasant place like the garbage chute? Make a phone call while you’re checking out the apartment to see if you’ve got good reception. You don’t want to be forced to hang out in the lobby or outside on the sidewalk every time you need to make a call. 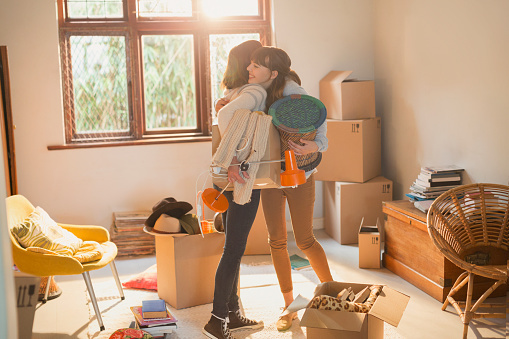 Once you’ve found a place that fits your criteria and you’re ready to sign the lease on your first apartment, make sure to follow these final steps. First, get the contact info of another renter in the building. Ask your reference to clear up anything you’re unsure about regarding the building or the neighborhood. Next, read through the lease very carefully. Check for hidden fees, lease renewal and termination policies as well as rent collection procedures. Finally, if everything on your list checks out, you’re ready to sign. Best of luck in your new home!